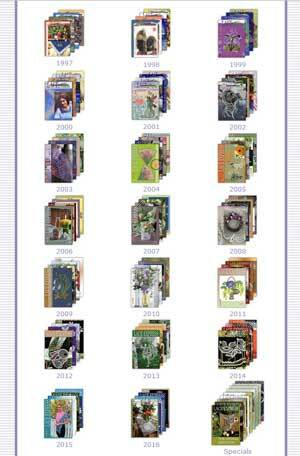 LACE EXPRESS is a periodical lace magazine. There is four issues each year of the magazine: No.1 (April), No.2 (July), No.3 (October) - containing Christmas patterns, and No.4 (January) - Easter patterns. They have also produced 10 Special booklets.